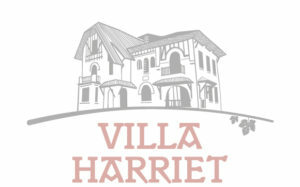 Welcome to the VILLA HARRIET in Uhart Ciz. Near the city of Saint Jean Pied de Port, you will enjoy a quiet stay in a welcoming and modern place. Originality and creativity transformed this 1930s villa into five charming guest rooms. The opportunity to live a soothing experience. Oriental atmosphere with warm colors. It has a bed of 180 and a private bathroom. Rather of baroque style, benefits from two beds of 1m separable or not. Let yourself be tempted by its 180 bed and balcony overlooking the mountains.